“She’s the one you can go to!” People say that about Barbara McGuire. Barbara is running to return as State Representative in LD23. While others talk and take credit for the work of colleagues and hang on the coat tails of others, Barbara McGuire has been working hard for her district. She doesn’t brag about her accomplishments on your behalf, and sometimes the work is not covered by the news because of other things going on, so I will tell you a little bit about what she has been doing for you just to give you an idea. The legislature is an intense place, but Barbara is a moderating influence and a voice for traditional rural Arizona and progressive rural Arizona. Barbara fights overbearing big city influence to give LD23 communities a voice and some fair attention. As a democrat who reaches across to the opposing majority house, Barbara has succeeded getting community stabilization and protections and jobs and environmental and mine water re-use legislation passed and signed by the governor. One half Barbara’s job is that of legislator and the other representing you and bringing resources and pressure and opposite sides together to solve issues. 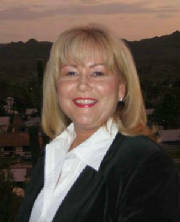 During the last term, Barbara was able to bring stakeholders together and have private industry partner under government oversight to step up and clean environmental situations in the copper communities of Gila and Pinal counties thereby saving jobs and assuring the safety and survival of entire communities, and this kept the Federal government from condemning productive communities. Pressures are relentless on the high stakes mineral rich area and Barbara fights to keep outside forces from destabilizing it and destroying jobs and communities. She is assuredly a champion of the people. Barbara is strong against cuts to education as education is the key to the future and will inspire innovation to keep us from becoming a third world country. Rep. McGuire believes that efficiencies, consideration of loopholes, zero base budgeting and smart deployment of resources will save public systems like education and public safety that enable free enterprise to flourish. Her acronym has always been, E.A.R. and that means efficient, accountable and responsive government and she is listening to you. Barbara asked for a 30-minute medical services availability and meth treatment centers as well as transportation improvements. Meth treatment centers in Globe and Sacaton with plans for others were created to serve critical need in east and west Pinal County. The impressive Banner Ironwood Hospital was built to serve the growing Apache Junction/San Tan/Queen Creek area. This makes differences to families and communities. Barbara helped work contributory infrastructure funding to make possible the towns and city progress of LD23. ADOT just submitted its plan for road and rail that would connect short lines and metro systems and combine into the Federal hi speed intrastate network and Barbara has provided input to this with the previous administration, the current one and was a key speaker to the Federal transportation steering committee to benefit LD23. Barbara is pushing for less capital intensive creative solutions to get the short lines working faster to bring rural commuters to the cities on existing rail lines. As part of a multi-modal transit system, Rep. McGuire also favors bus out reach transportation, which would be important to connect LD23 rural areas to each other and the metro areas. Barbara has also worked for continuous modernized natural gas and electricity to have a safe and sufficient supply for LD23. Barbara has submitted more broader jobs legislation to encourage the reinvestment of capital gains. She is also committed to supporting net zero cost real estate recovery legislation. The East Valley Tribune attested that McGuire has been working hard in their endorsement of McGuire as being very “active” on behalf of her communities, and those things I mentioned are but a few of the efforts of Representative McGuire. She received the endorsement of the Casa Grande-based Tri-Valley Central publication network of Pinal County newspapers and website for hard work and doing a fine job. Joined by them, Barbara has been endorsed by law enforcement, teachers, unions, retired Americans, the Arizona Chamber of Commerce, the Farm Bureau, the NRA, Arizona Realtors, District 23 mayors, Planned Parenthood and so many more. As a Salvation Army director of 19 years to the copper communities and small business owner for two decades, and as an experienced current legislator, McGuire has the institutional knowledge, business background and social understanding to advance Arizona from the difficult past into a stable and promising future. Barbara has earned your vote and I encourage you to keep McGuire in the legislature to advance our recovery and restore critical cuts to education and essential services, enhance transportation, and apply efficiencies to our government. If you don’t know who to vote for as your District 23 State Representative, now you do! Vote Barbara McGuire, “she’s the one!” Learn more at www.McGuire2010.com. For the promise of you and your families’ futures, thank you kindly for reading this. STATE CAPITOL, PHOENIX – Rep. Barbara McGuire, D-Kearny (District 23) is urging Arizona’s Congressional delegation to support farming and rural economic development by opposing a planned strict regulation by the Environmental Protection Agency. The EPA has drafted a new policy almost doubling the stringency of the standard by which dust is regulated. Many farming activities kick up dust, and the economic impact this regulation would have on farmers and rural communities in Arizona could be devastating, hindering farmers’ ability to maintain production and bringing economic growth to a standstill. Attached is a letter from McGuire to members of Arizona’s Congressional delegation. In March, McGuire took a tour of the ASARCO Ray Mine, one of the world’s largest open pit copper mines, located about 20 miles south of Superior (see photos attached and captions below). mcguiremine1:Rep. Barbara McGuire, D-Kearny (District 23), and House Democratic Leader David Lujan listen to a presentation by Steve Holmes, ASARCO Ray Mine General Manager, before taking a tour of the mine. mcguiremine2:From left to right: House Democratic Leader David Lujan, Rep. Barbara McGuire, D-Kearny (District 23) and Attorney General Terry Goddard stand in front of an ASARCO building during a mine tour. mcguiremine3:From left to right: Attorney General Terry Goddard, House Democratic Leader David Lujan and Rep. Barbara McGuire, D-Kearny (District 23) stand on the deck of a 400-ton haul truck overlooking the ASARCO Ray mine. State Capitol, Phoenix, AZ ; State Representative Barbara McGuire, democrat of Kearny, declared her candidacy for a third term to represent District 23 in the House of Representatives at the State Legislature. McGuire was the top vote getter in the prior elections for State Representative in LD23 and polls strongly with voters. McGuire said its because she listens to her district on the issues and legislation. "I work hard responding to constituent issues. As a "midlife baby boomer," I grew up with good core values and I am at a time in my life where I understand youth through senior issues. I am committed to helping the lives of the every day person and families." McGuire is running again as a Clean Elections candidate and is gathering nominating signatures and collecting the required $5 contributions. She is also collecting the initial contributions, (commonly referred to as "seed money") up to $140 per individual, (up to $3,580 in total). "In this difficult year for all of us, I have battled to block sweeps that take funds from cities and towns. In cases where the legislature cut anyway, I am working on restoration. There are solutions without destroying institutions that provide the foundation for individuals and businesses to be safe, educated and prosper. With voter help, I will resist further cuts to essential services but at the same time, I work for efficiency in government. My credo has always been Efficiency, Accountability and Responsiveness in a government that serves the people." "Education is the map to our future. I work preventing crippling cuts to education. We need to make sure schools are adequately funded. For the priority of jobs creation, I put forth bipartisan legislation for stimulating the economy for the creation of jobs by granting reinvestment tax credits. I am not relying on Washington alone. I am also known as a strong advocate for the rights of senior citizens. I have championed causes that keep our communities safe for families. The prior year I worked on getting more and better rural healthcare and meth treatment programs. Beyond the legislative work, I have advocated on behalf of many of my district people. In one instance this has resulted in saving entire communities by bringing management and union together for environmental cleanup that did not cost the State. Arizonans benefit from a voice of balance and common sense in the legislature. I try to be that voice." According to campaign chairman Tom Elliott, "As a life-long resident of the district, Mrs. McGuire knows our past and she is focused on the future. Many of the legislators are term limited and will be replaced by rookies. McGuire's experience and leadership skills will be a great asset as Arizona moves into its centennial celebration. She is a thoughtful voice of reason to offset harsh measures posed by the Legislature. Barbara is a moderate democrat with views that appeal to most voters regardless of party or race." McGuire represents a vast diverse district. LD23 includes the copper areas of Superior through Kearny, Hayden, Winkelman, Dudleyville, and Mammoth, and the former mining town of San Manuel. Large populations centers of District 23 are the golden corridor of the high growth areas of Casa Grande, Arizona City, Coolidge, Eloy and Maricopa. District 23 includes family and retiree areas of Apache Junction, San Tan area, part of Queen Creek, Queen Valley, Johnson Ranch, part of Avondale and part of southeast Scottsdale and historical areas including Florence and Oracle as well as the tribal regions of the Gila River, Ak-Chin, Salt River Pima and Ft. McDowell Yavapai Indian nations. LD23 includes most of Pinal County, parts of Maricopa and Gila counties, and is home to about 329,000 people (based on 2008 data in 2009 report). "Most of LD23 is Pinal County and it will soon be the second largest county in Arizona. What we do in District 23 is the future of Arizona." According to McGuire, "At the high level of growth that we will continue to experience, we must make careful decisions now to have a future that is right and bright." Mrs. McGuire, daughter of a WWII Navy Pilot, an Arizona native born in Sonora-Ray, Arizona, is a mother and grandmother, past Citizen of the Year in the copper area, is Salvation Army Unit Director of 19 years, a Sheriff's Posse member, an NRA member, Civil Air Patrol member, and a past chamber of commerce vice president, member of the Copper Basin and Casa Grande Chambers of Commerce. She attended CAC and has 23 years experience in business. McGuire has been recognized by many communities and organizations. Her favorite annual community service is the Salvation Army Christmas gift drive. With regard to legislation, she has sponsored and co-sponsored bills relating to consumer protection, healthcare, public safety, schools, immigration, environment, workers rights, HOAs, business accountability, senior issues, veteran benefits, tribal water rights and others. Representative McGuire presently serves on the committees of Environment and is ranking democrat on Military Affairs and Public Safety. She has in the past served on the committees of the Environment, Human Services, Natural Resources and Public Safety and the Interagency Council on Long Term Care. McGuire emphasized, "Everyone matters to me. Despite the tough times, I am going to do what I can to protect and nurture this district. I will do my best in government to see that it provides the framework for adults and children and the elderly to be safe, to have a quality education, good economic prospects, improved healthcare and opportunity with better times ahead." In other campaign news, McGuire announces that Jamie Vallee, returns to direct campaign research and communication. McGuire finished by saying, "My campaign workers have a public service ethic and we encourage good individuals to join to help. We will run a successful, honest, clean and fair campaign. I appreciate the support of people of my district and once again hope to win their vote." Please contact myself, or my campaign staff to volunteer. Thank you! McGuire's previous endorsements have included statewide teachers associations, police organizations, labor unions, doctors and nurses associations, the NRA, current LD 23 mayors, newspapers, former lawmakers and others. Please see website to download photo or call to request official campaign photo. STATE CAPITOL, PHOENIX – A bill in House Democrats’ Foreclosure Rescue for Arizona package passed the Senate Tuesday. McGuire’s bill also requires a landlord to provide tenants with a written notice at least 90 days before the sale date and if the landlord fails to comply, the tenant may recover damages or one month’s rent plus the amount of the security deposit and attorney fees, whichever is greater. STATE CAPITOL, PHOENIX – A bill in House Democrats’ Foreclosure Rescue for Arizona package passed the House today with a bipartisan vote. McGuire’s bill also requires a landlord to provide tenants with a written notice at least 90 days before the sale date and if the landlord fails to comply, the tenant may recover damages or one month’s rent plus the amount of the security deposit and attorney fees, which ever is greater. Phoenix - Incumbent State Representative Barbara McGuire, democrat of Kearny, declares her candidacy for a second term to represent District 23 in the State Legislature. McGuire is running again as a Clean Elections Candidate and is presently concurrently gathering nominating signatures and collecting the required $5 contributions along with raising initial contributions, (commonly referred to as "seed money"). "I am asking to continue the partnership with the people of the heart of Arizona, LD23, in forging a quality future for the district and all people of Arizona." said Representative McGuire. Among the communities McGuire represents is the copper district of Superior thru Kearny, Hayden, Winkelman, Dudleyville to Mammoth, the former mining town of San Manuel, and the diverse high growth areas of Casa Grande, Arizona City, Coolidge, Eloy, Maricopa, Apache Junction, part of Queen Creek, Johnson Ranch, part of Avondale and part of southeast Scottsdale and historical areas of Florence, Coolidge, Oracle as well as the tribal regions of the Gila River, AkChin, Salt River Pima and Ft. McDowell Yavapai Indian nations. LD23 includes most of Pinal County, parts of Maricopa and Gila counties, and is home to about 325,000 people. "Most of LD23 is Pinal County and it will soon be the second largest county in Arizona. What we do in District 23 is the future of Arizona." According to McGuire, "At the high level of growth that we will continue to experience, the time is now to make our future right and bright." Mrs. McGuire, daughter of a WWII Navy Pilot, an Arizona native born in Sonora-Ray, Arizona, is a mother and grandmother, past Citizen of the Year in the copper area, is Salvation Army Unit Director of 17 years, a Sheriff's Posse member, an NRA member, a past chamber of commerce vice president, member of the Copper Basin and Casa Grande Chambers of Commerce. She attended CAC and has 23 years experience in business. According to campaign chairman Tom Elliott, "Representative McGuire is very popular among seniors and families because she represents families in their challenges and balances the interests of the powerful over the middle class by reaching out to the controlling interests in the legislature, government and business to forge alliances to bring improvements in education, jobs, prosperity and quality of life in the State. Barbara is a moderate democrat with views that appeal to most voters regardless of party or race. The more they know her the more they like her." McGuire has and is currently involved in district citizen issues ranging from utilities, transportation, jobs, worker rights, inspections, the environment, seniors, health care, schools and other matters. With regard to legislation, she has sponsored and co-sponsored bills relating to consumer protection, schools, immigration, environment, workers rights, HOAs, business accountability, senior issues, veteran benefits, tribal water rights and others. Representative McGuire serves on the committees of the Environment, Human Services, Natural Resources and Public Safety and the Interagency Council on Long Term Care. McGuire emphasized, "Everyone matters to me. I am going to do what I can to protect and nurture this district. I will do my best in government to see that it provides the framework for adults and children and the elderly to be safe, have a quality education, good economic prospects and opportunity for a bright future. McGuire says, "As a "midlife baby boomer," I grew up with good core values and I am at a time in my life where I understand youth thru senior issues. I am committed to helping the lives of the every day person and families." In other campaign news, McGuire announces that Jamie Vallee, returns as director of campaign research and communication. Ronald Servant, has accepted as campaign treasurer. "In addition to many years of experience as an accounting manager, Mr. Servant and his wife Beverly have a public service record of a lifetime as active leaders in the Moose organization, which benefits the less fortunate in communites here in Arizona and nurtures orphans to successful adulthood by providing them a home in Mooseheart, Illinois." "My campaign workers have a public service ethic and we encourage good individuals to join to help. We will run a successful, honest, clean and fair campaign. I appreciate the support of people of my district and once again hope to win their vote. Please contact myself or my campaign staff to volunteer. With volunteer help we are gathering nominating signatures from democrats and independents registered voters of district 23 and the required $5 contributions from qualified electors as well as what is also referred to as "initial contributions" or "seed money" from US citizens. Volunteers help us with everything from gathering signatures to raising funds to placing and monitoring signs. Its an honorable civic duty to volunteer to help Clean Elections candidates so you can have good government free of lobbyist and special interest influence." Contact: Committee to Elect Barbara McGuire, c/o Rep. Barbara McGuire 520-363-5002, email BarbMcGuire@hotmail.com or Tom Elliott, Campaign Manager at DowdinElliott@hotmail.com. Phoenix - On January 17, in a letter, Arizona Corporation Commission (ACC) spokesman John LeSeur informed LD23 State Representative Barbara McGuire-(d) of Kearny that on February 6 at 6pm, at the San Manuel High School, there will be another hearing about the Coronado Utility waste and water system. McGuire says "the ACC with now a sufficient number of Commissioners agreeing to hold another hearing could result in lower rates paid by subscribers of the former BHP (the mining company) water and waste treatment operation, now the private Coronado Utility company. It is worth it for customers of this utility to go to the new February 6 hearing and press their case." A recent survey of the residents of San Manuel according to McGuire shows that these are retirees on a fixed income with a 2 to 4 person household. McGuire asserts "It is the responsibility of society including business and government to come together to protect the vulnerable population from hardship. I am glad to see this change of heart from the Commissioners to conduct a new hearing. Life is hard enough for the vulnerable having to choose between food, medicine and now water and waste disposal. These are basic things, they must be workable." 2. require BHP to help defray the Company's costs (given the relative capacity to do so, the sale assumptions on both sides, the legalities of the parties to do what they did in what transpired), for example. In a January 10, 2008 email to ACC Chairman Mike Gleason, BHP Billiton Southwest Copper for BHP Copper Inc., President Ben Wichers says “we took an equity position in the new plant,”…"the continued ...hearings will just keep stirring the pot...and not lead to positive outcome for the residents of San Manuel." decision previous adverse decision made by the ACC via A.R.S. 40-252. Arizona Corporation Commission and comment or ask to speak at the upcoming new hearing "and this hearing will hopefully result in an order for the formulated relief to customers of Coronado Utility (wastewater treatment) in San Manuel, I am grateful to the ACC for agreeing to the new hearing. We can resolve this contentious issue with cooperative efforts." McGuire working to keep state parks open, small businesses afloat, in Pinal Co.
STATE CAPITOL, PHOENIX – Rep. Barbara McGuire, D-Kearny, is advocating keeping open two major state parks that bring in small business dollars for Pinal County’s and central-eastern Arizona’s economies. Lost Dutchman State Park near Apache Junction and Picacho Peak along the I-10 near Eloy, were recommended for closure Monday (See story in The Arizona Republic). McGuire, with Rep. Patricia Fleming, D-Sierra Vista (District 25), Rep. Lynne Pancrazi, D-Yuma (District 24), House Democratic Whip Chad Campbell, D-Phoenix (District 14), House Democratic Leader Pro Tem Jack Brown, D-St. Johns (District 5), Rep. Tom Chabin, D-Flagstaff (District 2) and Rep. Chris Deschene, D-St. Michaels (District 2) plan to meet with the State Parks Board this week to discuss the recommended closures of state parks in their districts and will meet with area business leaders and concerned constituents. Lost Dutchman State Park, named after a lost gold mine, provides an abundance of hiking trails seasonally covered in wildflowers, cliff dwellings, caves, campsites, nature trails and picnic facilities. Picacho Peak, at 1,500 feet, features hiking trails, a visitor center, playground, campground and picnic areas, and it served as a landmark by travelers in prehistoric times. The park also hosts an annual civil war reenactment. Lost Dutchman brings in nearly 78,000 visitors a year and Picacho Peak attracts more than 63,000 visitors a year. McGuire is also advocating that the State Parks Board takes another look at the closure of Oracle State Park. Oracle State Park is a 4,000 acre wildlife refuge and educational center in the northern foothills of the Catalina Mountains. Once part of the Kannally family cattle ranch, the unique Mediterranean style ranch house in the park is now listed on the National Register of Historic Places.